If your dog is anything like mine, she scarfs down her food as fast as possible. Then, she has to make sure that every last crumb has been consumed by licking the bowl dry. Sound familiar? 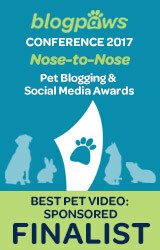 Our friends at Pet360 are currently hosting a video contest to showing how our furry canine friends eat. 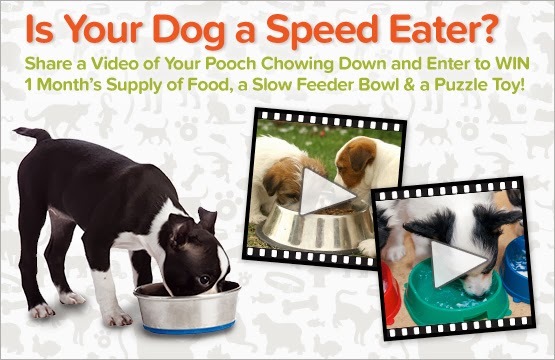 All you have to do is record a video of your dog enjoying mealtime. Then upload your video to the Pet360 community contest here. I decided to make a video of Shiner scarfing down her own dinner last night. She finished her meal in just about 60 seconds. Take a look. 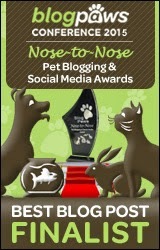 The last day to enter this contest is on January 31st so get your nom on! Good luck and bon apetit! 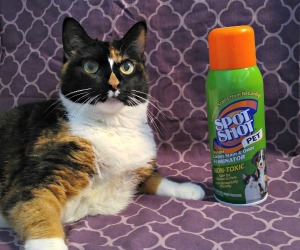 Click HERE to enter the contest at Pet360. Well, it's probably for the best Misaki. I know there will be some darn good entries in that one! Now you will have her going on about that Green Interactive Bowl again. No scoffing up foodables with one of those and now I get my treats in there but I am getting quicker at getting them out. Have a serene Sunday and let us all partake of some big easy today. She has one of those puzzle feeders too which slows her down a bit. But she has it figured out just like you Molly! Wow, Shiner sure eats her dinner fast! Hope she wins. Those are some great prizes! Annie's no slouch in the fast-eating department even if she is a cat. However, a lot of the time it then means throwing up so I feed her a little at a time. Eating fast does have its disadvantages Annie! We love Shiner! Just look at her go! Our cousin Cooper the Springer Spaniel is the fastest eater we know. He seriously eats the whole bowl in about 15 seconds. Seriously! Oh those Springers are quite the chow hounds! We used to work with Springer Rescue quite often, so I have met lots of them! I will definitely believe it. Fun! I already have something in place that keeps my dogs from eating fast, though. But I do have a video of them sitting and waiting for their dinner. I think any video of mealtime is acceptable. Even if your dog isn't eating fast! I sort of hate that they have a contest encouraging fast eating. We work very hard to get our dogs to slow down their eating. I've already heard it on Twitter. I think people should lighten up a little bit. It's just a video of your dog at mealtime, even if they eat slow. They are just encouraging activity within their community and giving away prizes that will help slow your dog down when they eat. No harm meant.